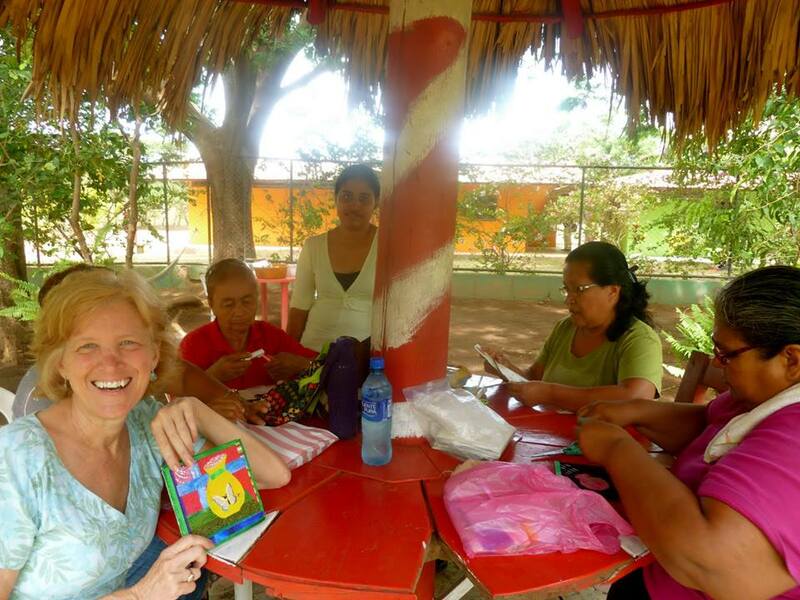 What a wonderful time of celebration we all had in Los Cedros, Nicaragua. My church has partnered with some folks down there, have built a school, helped plant a church, and built homes. We’ve held men’s conferences, women’s conferences, VBS programs, and sponsored students at the school. Our church choir has sung there, and for this celebration, men and women from Los Cedros joined the choir to form an amazing international choir! We’ve shared our hearts, and they have shared theirs. It’s been a treasured partnership for all of us! In years past, I’ve painted murals and helped women share their stories through art while living in Los Cedros. I lived there a couple of months a few years back and made some lovely friendships with women and the children. They are so generous with their love. Marcia helping women in sharing their stories through art. 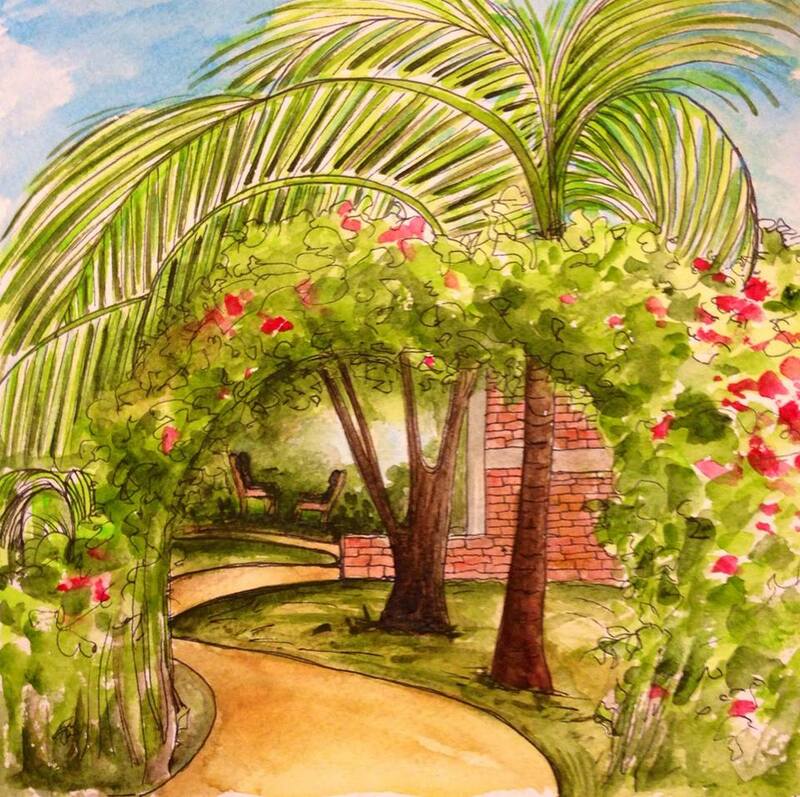 This time, I worked with one woman, brought her many art tools, and gave her a watercolor lesson. Our translator, Daniel, was excited to join us in learning to paint. What fun to have Daniel join us! Before over 300 people ate dinner together, and celebrated our ten years of partnership, I slipped in this lesson. We painted the beach and learned how to use watercolors. I also tried to help my students “see” better for their art making. 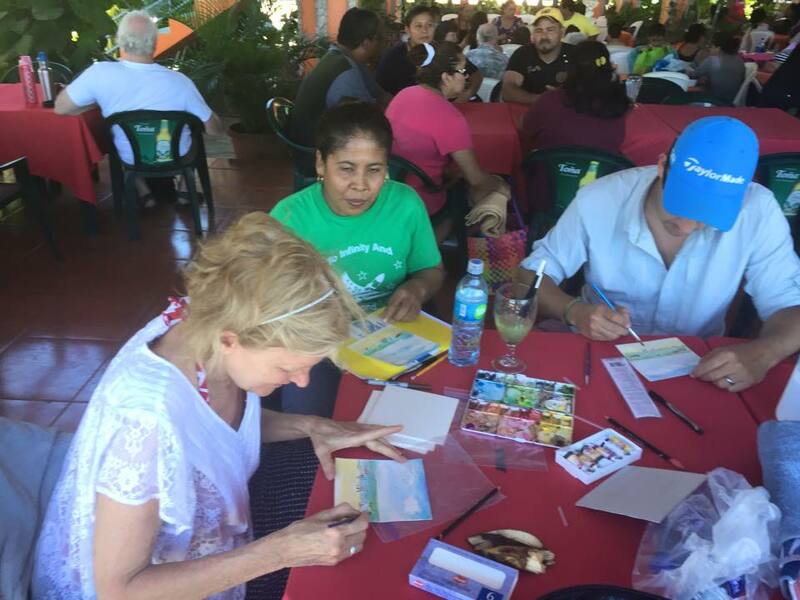 Marcia teaching watercolor to Cela and Daniel at the beach celebration. I don’t know when I’ll return, but I left part of my heart in Nicaragua. I pray I might be able to return to live there an extended time again. “Through all the world there goes one long cry from the heart of the artist: give me leave to do my utmost.”-Isak Dinesen, Babette’s Feast.